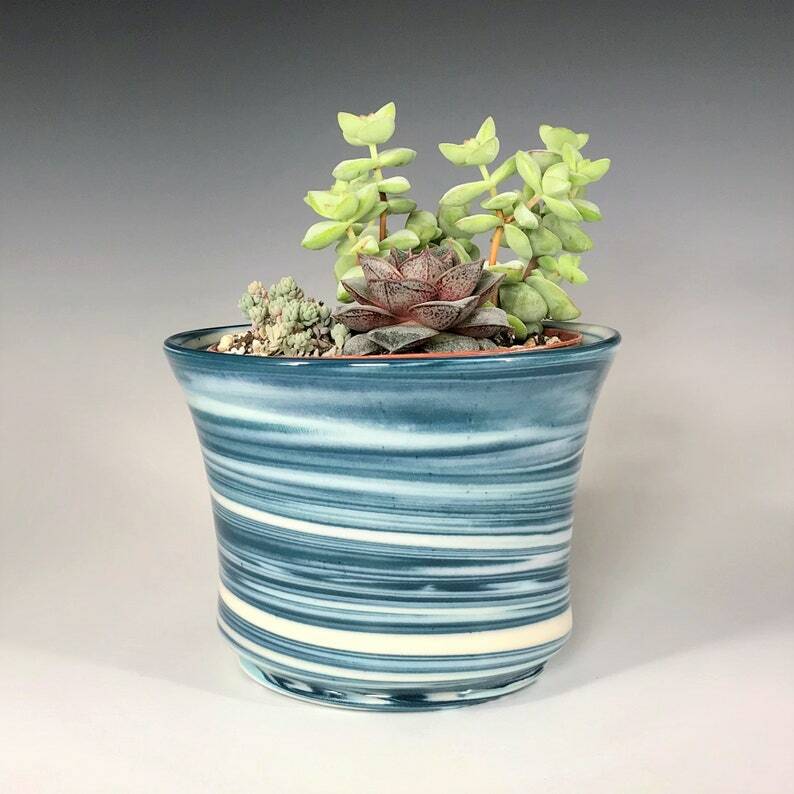 Porcelain succulent planter with with teal, aqua, and creamy white porcelain clay finished with a clear glaze. 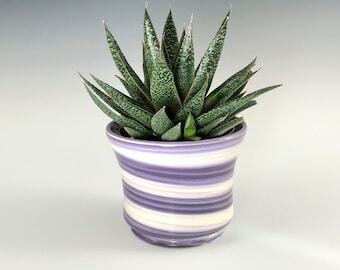 The ceramic planter does not have drainage holes. 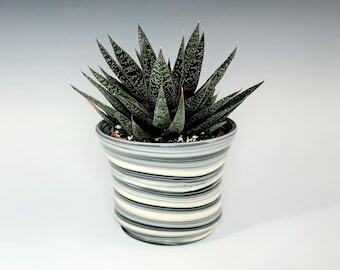 Remove the included 4" plastic pot to easily water your plant (plant not included). 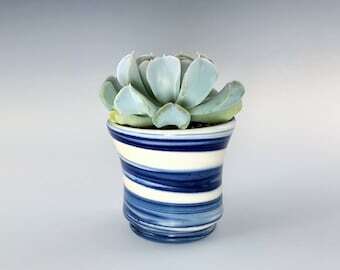 This listing is for one teal ceramic planter and one 4" diameter plastic terracotta colored pot. Succulent care instructions will also be included. Plants are not included.